Metal detecting is one of the few hobbies that can not only pay for itself but actually can be a profitable. However you will need the best metal detector to separate the valuable objects from the junk! With so many metal detectors on the market each having a variety of features, how do you know which metal detector for you? To make your decision easier we did the research and give you our top picks below based on features and ease of use. Let’s take a look at the top rated metal detectors, then we’ll talk about how to choose the right one for you in our buying guide below. For those that are looking for a professional, high quality metal detector, the Fisher F75 metal detector has everything you have been looking for. First off, the price point on this professional grade metal detector is great and very reasonable for the quality and durability you get with it. This is a light weight detector and the ergonomics on it make it extremely comfortable walking around with. It also has a very large LCD screen with 0-99 numeric target identification display. The coil on the F75 is a Double-D waterproof search coil. It also has an available rain cover for the control housing and battery housing. 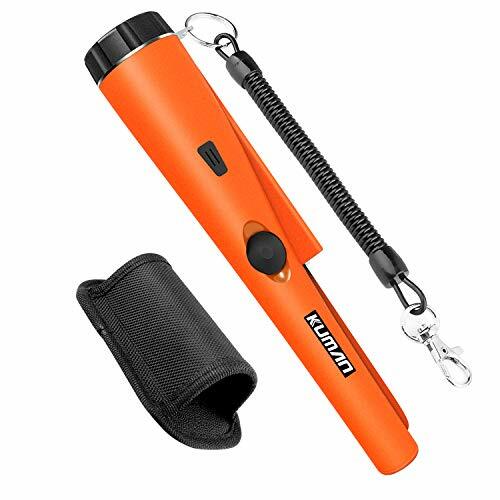 One of the best features about this metal detector is the double filter discrimination modes that really help out when searching in heavy garbage type areas. It also has a magnetic mineralization bar graph and readout. There is also the trigger actuated fast grab ground balance. This is one of the metal detectors you can find if you are interested in searching for coins, relics, beach hunting and gold prospecting. In fact I would say the Fischer 75 is the best gold metal detector. It’s a very versatile machine that can cover many different types of environments and surroundings. One of its better features is that this machine has approximately 40 hours of battery life on just 4 AA batteries. This will allow you to spend more time hunting and less time changing batteries out. If you are wanting to really get deep into metal detecting and looking for a metal detector that will provides you years of metal detecting fun, then choose the Fischer F75. Video: Overview of the Fischer F75 metal detector. This machine is so versatile that no matter what type of metal detecting you want to do; this metal detector will help you do it. Balance all of the features with its light weight and design this will be a metal detector that you will keep around for a long time without the need for upgrading. 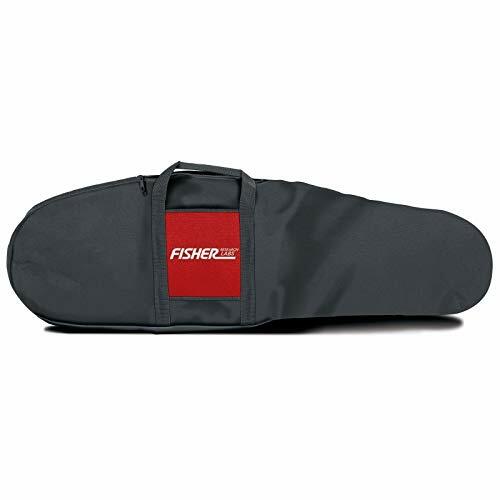 If your looking for the best metal detector for gold, the Fisher F75 is a good choice. For those of you really looking to take the next step forward in metal detecting, then the Whites Treasure Pro Metal Detector is the way you want to go. This is a high quality metal detector that comes complete with tons of features and accessories that will allow you to go metal detecting virtually anywhere. 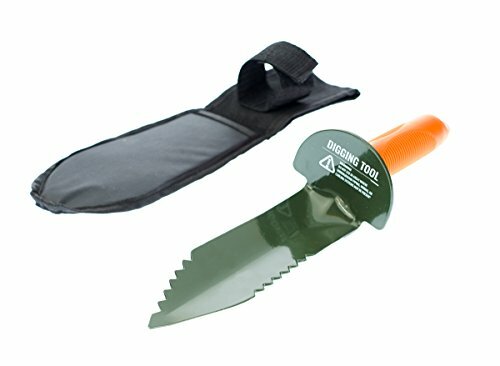 One of the great features to the Whites Treasure Pro metal detector is the 10” DD waterproof coil that it comes with and is in my opinion the best underwater metal detector . This coil gives you so much versatility and allows you to detect on both land but also in water. This is great because you can be a beach for instance and scan the beach and also into the water. The detector also has automatic ground balance which adapts to ground conditions as you hunt for increased depth and sensitivity. This metal detector also has 6 different search modes and a very large display screen. It features 8 audio tones also to help you identify objects in the ground. The arm rest is also adjustable allowing for maximum comfort on those long days of metal detecting. Video: Overview of the White’s Treasure Pro. The Whites Treasure Pro Metal Detector with 10” DD Waterproof coil is definitely the metal detector for those who are serious about the hobby. 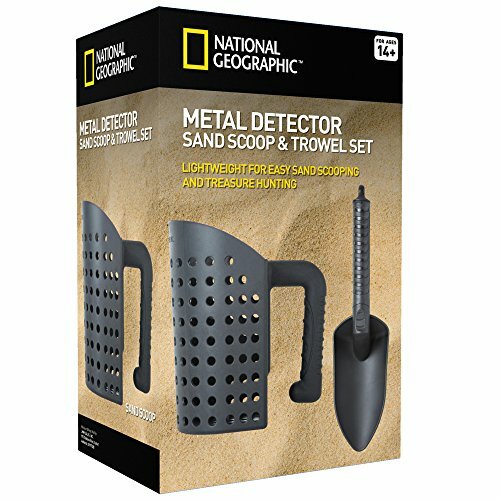 If metal detecting at the beach is in your future, this is the best beach metal detector. It includes a Bullseye II pin pointer which helps you to find the object you are targeting without having to continuously dig. This metal detector is also wallet friendly but will serve you for many years. It is so featured packed that even the most experienced metal detector will love it and those new to the hobby be able to grow with it as they get more experienced. If you are searching for an intermediate level metal detector then the Garrett Ace 400 metal detector is one that is definitely worth considering. This is a metal detector that is designed for the those deeper involved in the hobby and for professionals. This detector has a feature called Iron Audio. This allows the user to hear discriminated iron and allows you to alter the detectors mid tone signal range. The Garret Ace 400 also includes a higher 10khz frequency that allows better sensitivity to low and medium conductivity items such as lead and gold. The coil in the Ace 400 is a DD coil that measures 8.5” x 11” allowing you to cover a lot of ground while you are out detecting. The coil is also submersible to you can go detecting in and around water. A really cool feature of this metal detector is in can actually detect the type of American coin in the ground. So this machine will help you identify if you are finding a dime, quarter, etc. There are also 5 different search modes so you can target certain types of items. This is handy if you are in an area where you are wanting to find only certain types of items and don’t want to detect every type of metal in the ground. Video: Overview of the ACE 400 Metal Detector. Overall this is a great metal detector for those looking to take a step up in the hobby. The price also is very reasonable and not going to the break the bank. With all of the features this machine has you will find yourself loving it. The Garrett Ace 400 will serve you for many years and is featured pack to keep you finding new items all day long. The Garrett Ace 400 with its 5 search modes, 8 sensitivity and depth adjustments is the best coin metal detector. The Ace 300 Metal Detector is a great metal detector for those looking to cover more ground quickly. This metal detector features a 10” scan area that allows for quick and accurate scanning. It also has an electronic pinpoint feature with coin depth gauge to help you quickly get to your target. Some other great features of this detector are the custom notch discrimination, adjustable sensitivity and depth settings. What makes this metal detector so nice is it comes in weighing only 4.5 pounds. The design also allows for each carrying and scanning of the area you are covering. The Ace 250 runs off of 4 AA batteries so swapping out batteries in the field is easy to do also. The coil in this machine is also waterproof so you can search in shallow waters with it. The electronics though are not waterproof. This is a excellent metal detector for those looking for a large coil size that can help you cover more ground in a shorter amount of time. In my opinion this is the best metal detector for the money. 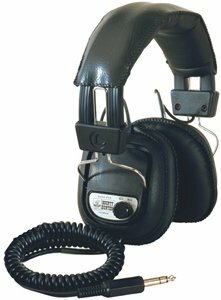 If you would like a package deal with headphones and everything you need to get started, check out the Garrett AT Pro Metal Detector. For those of you that are looking for a budget friendly yet feature packed metal detector, the Bounty Hunter Time Ranger is the metal detector for you. This metal detector features a full submersible 8-inch Bounty D-Tech coil and can also be interchanged to match the different soil conditions. It also has a very large LCD readout with a touch pad. The touch pad is fully programmable and can be configured to help you search for the types of items you want to find. The Bounty Hunter Time Ranger also has a built in headphone jack and runs off of two 9 volt batteries so you can keep detecting easily for hours as the batteries are very easy to swap out. Another great feature about this unit is that it only weighs approximately 5 pounds. That makes it very comfortable while walking around with it. The sweet spot of this metal detector is in the 4-8” deep range which allows you to find a lot of amazing items. Overall this is a great beginner friendly metal detector and has an amazing price point. So for those of you that want to get started with metal detecting, the Bounty Hunter Time Ranger metal detector is the best metal detector for beginners. 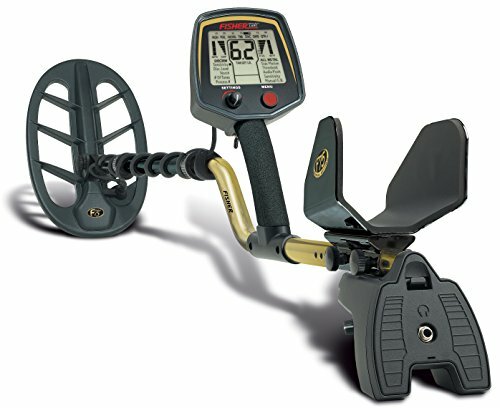 The Teknetics EuroTek PRO is a good choice for an entry-level metal detector. It features a 8” concentric waterproof searchcoil that’s best feature is its ability to discriminate and filter out iron targets. It has an iron indicator on the LCD display that lights up no matter what you have the sensitivity set at. A handy feature that wil save you lots of unnecessary digging. For an inexpensive price you get a feature rich detector that can find metal objects up to 12” deep with the ability to set the volume control of iron targets independent from non-ferrous targets. When the EuroTek gets a hit the detector will make one of 3 tones and a number between 1-99 that coorspnd with the targets conductivity. Using the manual it will tell what type of coin your are detecting and the indicator will also tell its depth. Teknetics EuroTek PRO is a lightweight detector weighing only 2.4 pounds and gets in impressive 20-25 hours from a standard 9V battery. Teknetics has excellent customer support plus a 5-year warranty making it the EuroTek PRO the best metal detector under $200 on our list. The Minelab EQUINOX 600 is an advanced metal detector similar to the Fischer. If your looking to get serious about finding coins or treasure hunting the Equinox is ideal. One of its biggest assets is its versatility to detect treasure in all types of envirments from recreational parks to the beach and with its advanced discrimination and multi frquency technology have you digging up less trash! The large 11-inch Double-D Smart coil with skidplate provides excellent detection and 50 segment notch discrimination can detect targets about 12” deep. It comes with standard wire headphones but has bluetooth capability and you can get optional wireless bluetooth headphones and weighing under 3 pounds makes for a comfortable day of treasure hunting! The Equinox is completely submersible down to 10 feet (salt water as well) so you can use in lakes and rivers and of course the beach. The rechargeable Lion battery will give you 12 hours in the field and uses a standard USB cable to recharge. If you want the best metal detector for gold and silver, good customer service and a 3 year warranty the Equinox is a good choice! Where Will You Be Using The Metal Detector? How Often Will You be Detecting? Congratulations, you have made the decision to get into the wonderful world of metal detecting. Everybody has their own reason as to why they want to start metal detecting. Some get started because they want to find that piece of jewelry that is worth thousands of dollars. Others because they love finding coins that are over 100 years old. Then you have others who get into metal detecting for the exercise part of it. No matter what your reason is, use the information below as a guide to help you discover more about metal detecting and too help you decide on how to choose the right metal detector. Metal detecting is a fun and exciting hobby. You never know what treasure you may find next. One step in determining what kind of metal detector you should purchase is figuring out what you want to find. There are so many different kinds of items you could go detecting for. You may have an interest in finding coins to add to a collection. Some people are history enthusiasts and want to look for relics from wars. Others want to find jewelry and hopefully find that buried treasure everyone has been looking for. Determining what type of objects you want to find will help guide you in the process of choosing the best metal detector for your searching needs. You have an idea on the type of object you want to find so now where do you want to start looking for those items. Knowing where you will be doing most of your metal detecting is important in figuring out the right kind of equipment you need. Are you planning on just checking local parks and friends yard? Would you like to go treasure hunting near the beach and even go detecting under salt water? If so make sure you go with a waterproof metal detector. Does a mix of water and land metal detecting sound most appealing to you? Figuring out where you plan on doing most of your metal detecting can you help narrow in on the right detector for you and ensures that you are spending your hard earned money correctly on the right piece of equipment. One of the best things about metal detecting is you can do as much or little of it as you want. Say for instance you are heading over to a friends house who lives near a park. They tell you they won’t be home for another 30 minutes. That’s 30 minutes of detecting time you have while you wait for them. Some people devote numerous hours and even entire vacations to metal detecting. What is what is so great about this hobby is anyone can do it with any amount of free time you have. If metal detecting is something you plan on doing for hours at a time, then make sure when purchasing a detector to check the battery life. This is an important aspect of a metal detector and something many people overlook. If you are not sure how much you will be using or what you are looking for yet, the Garrett Ace 400 Metal Detector is the best all round metal detector. What makes metal detecting great is no matter what age you are you can learn how to metal detect. Whether you’re a kid or an adult, everyone can learn metal detecting. When purchasing a metal detector, consider if you have any previous experience using one. If you are purchasing one as a gift, consider how much experience the person has who will be using it. Someone new to metal detecting may not need one with a lot more features whereas the seasoned detector will want something more versatile with more features. If you are just starting out, you will be better off with a beginner metal detector like the Bounty Hunter TK4 Tracker IV. Now that you have figured out all the other aspects of starting to metal detect, the next process is figuring out how much you want to spend. Metal detectors range in price from just a few hundred to a few thousand. Figuring out the budget you want to stay within will help narrow down the perfect metal detector for you. If metal detecting is something you plan on spending a decent amount of time doing then maybe purchasing a higher end model is for you. If you are new to the metal detecting world and want to start off and save some money, then you may be better off purchasing a more budget friendly model. No matter what your budget is, just make sure the detector that you pick fits all of your metal detecting needs. If you are looking for an inexpensive detector, the best budget metal detector is probably the Bounty Hunter TK4 Tracker IV. Metal detectors work on a science that is called electromagnetism. So basically a metal detector contains a coil of wire. When electricity flows through this coil, a magnetic field is then generated. As you use perform the sweeping motion with a metal detector, the magnetic field itself is also moving around. As that coil passes over metal objects, the magnetic field affects the atoms that are inside the piece of metal. From there your machine uses the technology inside and can help you identify the type of metal or object in the ground. There are 5 different types of coils, but the two main types of coils a metal detector can have are Concentric and Double D. The biggest difference between these two types of coils is how they detect objects. The Concentric coil uses two round antennas, one inside of the other and creates more of a funnel type shape when you are using it to detect. The Double D coil uses two D shaped antennas that are placed back to back. This gives you more of a direct type of detection. Now you know how the different coils work, your probably asking yourself why does that matter? For instance, the Double D coil covers more ground but it’s not as accurate in telling you what is below. It is less affected by mineralization but does have a harder time identifying what type of object you are digging for. The Concentric coil will tell you more accurately what is in the ground before you dig but has less of a scan field. This means it is easier to miss an object if you don’t scan directly over it. The Target ID on your detector is one of the most important features of a metal detector. The Target ID are numbers that essentially tell you what type of metal is underneath the coil of your detector. This is extremely helpful because it can help you identify if what you scanned is gold or silver or just a rusty all bottle cap. Some metal detectors are very intricate with their Target ID and can show you all ranges of metals. Others are very simple. Knowing the Target ID of your detector is very important and will help you know what your digging before you start to dig. Discrimination or also known as the differentiator, is a setting that will help you bypass the junk type metals you are not interested in finding. If you don’t adjust, your detector will pick up everything it scans. By adjusting this, your machine will not even look for certain types of metal or object in the ground. Notching is very similar to discrimination except that notching still searches for all items and metal but it will not relay an audible signal for those items. This way your detector still scans the items and you can decide if you want to dig it or not. Coin shooting is probably the most common way that most people use their metal detectors. Coin shooting is basically using your detector to find coins. This could be old coins or new coins. The best part is no matter what kind of coins you find, is it has some kind of value! Gold detecting on the other hand is using your detector to try and find real gold. Finding real gold is a lot harder because it takes a lot more planning and research. You could also spend hundreds of hours and never find gold. When you decide on what type of metal detector you want to purchase, keep a realistic expectation of what it is you want to search for. Many people purchase a detector with the hopes of finding buried treasure that is worth hundreds of thousands of dollars. Others just want to find some extra pocket change to walk around with. Whatever you goal is, make sure to keep your expectations realistic and to do metal detecting for the fun and hobby of it and not so much for the monetary value of it. We have covered a lot of information so far in regards to metal detectors. Overall just always remember that metal detecting should be fun and stress free. It is a great hobby that is made for everyone. No matter what your goals are with it, just have fun and enjoy it. When trying to choose the best detector for yourself, just make sure the detector does everything that you want and need it to do. If you just want to start off casually, then choose a more economical metal detector with less features that will allow you to get out there and see if you enjoy it. If this something you are already serious about, then take the leap and purchase a feature packed detector that will give you hundreds of hours of great metal detecting time. Choosing which coil you want can make the different in your experience in metal detecting. Make sure to really decide what is most important to you and why it is most important. Reevaluate all of your must haves and wants when metal detecting and this will help you decide which type of coil you should go with. Auto ground balance is a process through which the metal detector is able to cancel out the negative effects caused by ground mineralization. This is important because it will allow you to essentially cancel out all the items you are not looking for. Say you are in search for gold. Well gold is usually found in mineral rich areas. Sweeping your metal detector over this kind of ground, the sounds and signals would be constantly going off. By canceling out these metals you are not interested in searching for, you can more accurately find the types of metal you want without all of the interference. Ergonomics are very important when considering your purchase of a metal detector. There are two types of designs. You have the L shape and the S shape. The L shape is said to have less stress on the wrist when you are swinging the coil. What it really comes down to though is personal preference. What may be comfortable to one person may not be comfortable to the next person. If possible, you should try to hold both and walk with a swinging motion to see which feels more comfortable for you. Metal detecting overall is an amazing hobby and perfect for everyone of all age groups. Its a hobby that lets you get outside and enjoy this great earth that we all live on. It is also a hobby that can you get in shape with all of the walking you can do while metal detecting. There is so many great things about the world of metal detecting that almost everyone will find some reason to fall in love with. One of the best things overall about metal detecting though is the thrill of the hunt. For as long as people have been on this earth, people have been hunters and treasure seekers. There is something just built into each and every one of us that has a the desire to discover the unknown. Metal detecting allows us all to do just that. To get outside, go hunting and discover something new and different that may have been lost in the earth for hundreds of years. I hope this guide was helpful for finding the best metal detector to fit your needs. If you want to comment or recommend a metal detector I didn’t include, please use my contact form to get in touch. The Fisher F75 is our Editor's Choice for the best metal detector with its combination of sensitivity, discrimination and features.